Properties in Montechiaro average 4.6 out of 5 stars. Agriturismo Santa Lucia in Siena in Tuscany with swimming pool in the Crete Senesi - Pozzo apartment for 2 people, the price is for the apartment. Property 1: Agriturismo Santa Lucia in Siena in Tuscany with swimming pool in the Crete Senesi - Pozzo apartment for 2 people, the price is for the apartment. Agriturismo Santa Lucia in Siena in Tuscany with swimming pool in the Crete Senesi - Loggiato 2 apartment for 2 people, the price is for the apartment. Property 3: Agriturismo Santa Lucia in Siena in Tuscany with swimming pool in the Crete Senesi - Loggiato 2 apartment for 2 people, the price is for the apartment. Agriturismo Santa Lucia in Siena in Tuscany with swimming pool in the Crete Senesi - Loggetta apartment for 3 people, the price is for the apartment. Property 8: Agriturismo Santa Lucia in Siena in Tuscany with swimming pool in the Crete Senesi - Loggetta apartment for 3 people, the price is for the apartment. Agriturismo Santa Lucia in Siena in Tuscany with swimming pool in the Crete Senesi - Belvedere apartment for 7 people, the price is for the apartment. Property 9: Agriturismo Santa Lucia in Siena in Tuscany with swimming pool in the Crete Senesi - Belvedere apartment for 7 people, the price is for the apartment. 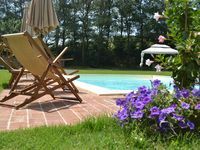 Agriturismo Santa Lucia in Siena in Tuscany with swimming pool in the Crete Senesi - Siena apartment for 5 people, the price is for the apartment. 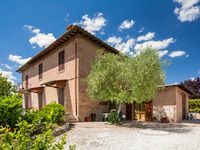 Property 12: Agriturismo Santa Lucia in Siena in Tuscany with swimming pool in the Crete Senesi - Siena apartment for 5 people, the price is for the apartment. We thoroughly enjoyed our stay at this beautiful. The host was extremely helpful. Her father supplied us with the most deliscous fruit and vegies ,straight from his garden. I highly recommend it .